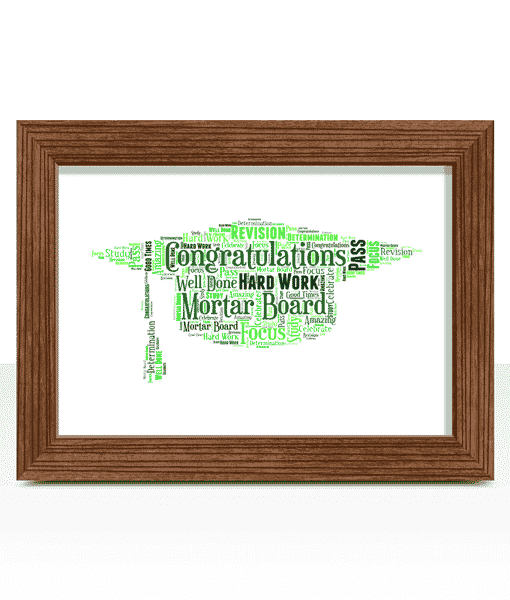 Personalise this Mortar Board Graduation Word Art Print with all your own words to create a one of a kind graduation gift. Someone from Staffs recently bought this item. 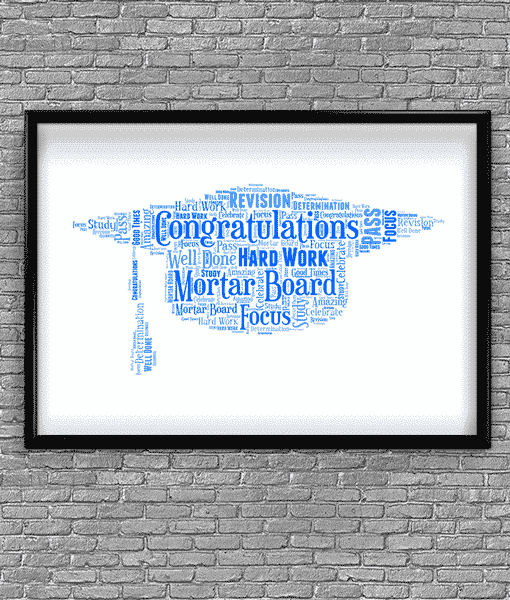 This mortar board word art can be personalised with any words of your choice. 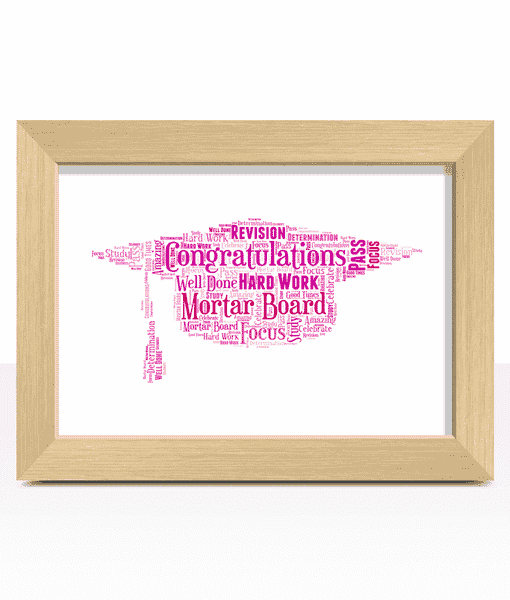 As you get to choose all the words it’s a great way of creating a very special personalised graduation gift. 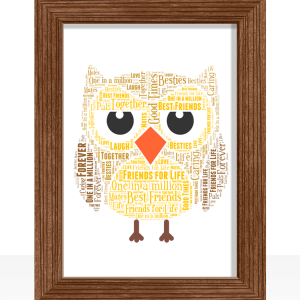 We recommend carefully selecting words are are meaningful to the recipient. 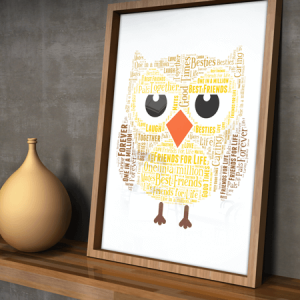 For example you could include the name of their University, the qualification they have achieved, names, places, dates and anything else you can think of to make it really personal. 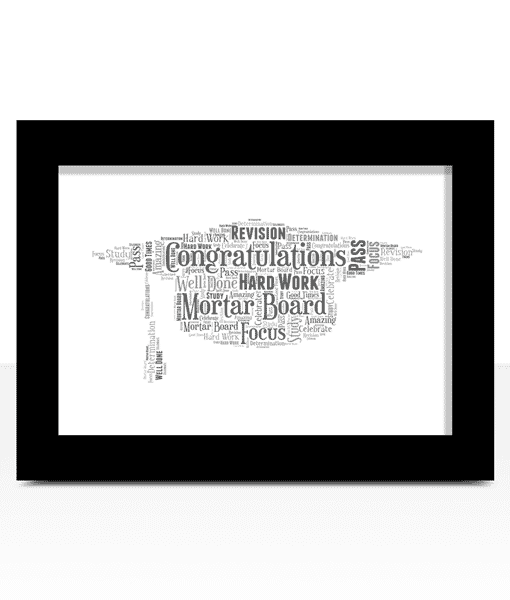 Example: Congratulations, Graduate, Passed, Success, Revision, Degree, Master, Passed, Focused, Great Times Ahead. 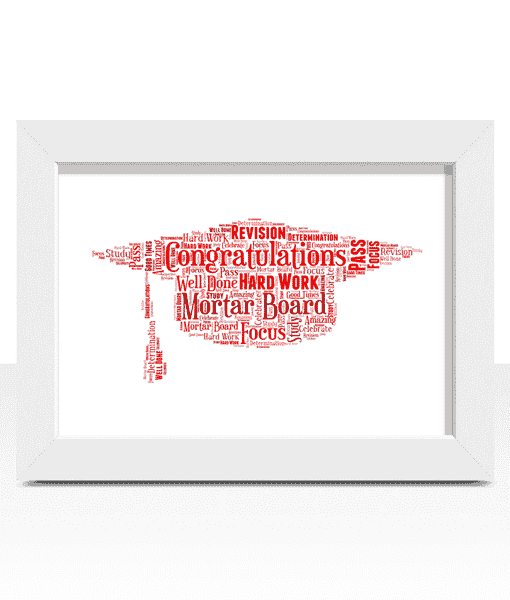 Personalised Graduation Presentation Gift. 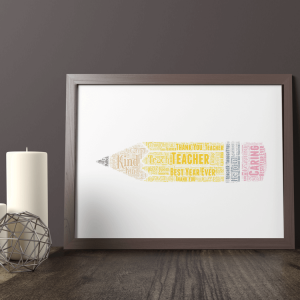 This print can be personalised to create a lovely gift to someone who has completed their degree & is a nice keepsake to mark the milestone in their life. 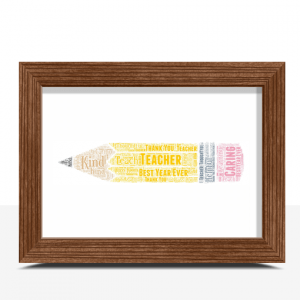 Personalise this Pencil Shaped Word Art Print with all your own words.